Dr.Sopon, a prominent real estate valuer in Thailand warn the Prime Minister of Thailand that Thai economy is getting worse. Some things need to be done! Dr.Sopon Pornchokchai, President, Agency for Real Estate Affairs who conducted the most comprehensive survey of real estate markets in Thailand since 1994 warned that Thai economy is getting worse. A clear evidence was the number and value of low-priced housing were shrinking significantly. In the past, when housing markets were in trouble, there would be a down market trend to offer low-priced housing for the vast majority of lower income groups in the markets. 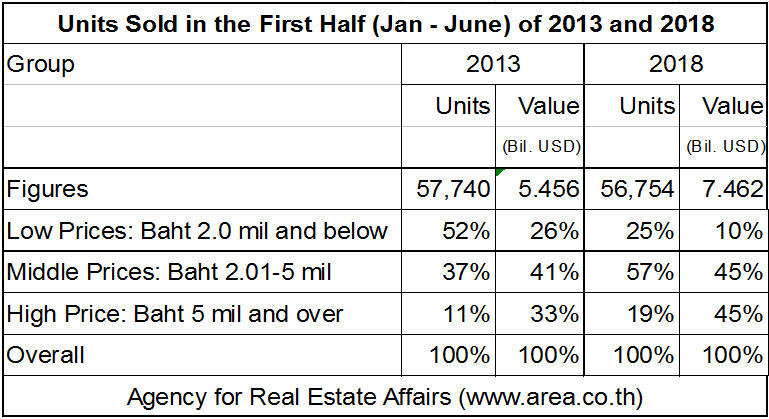 In 2013, 52% of the total housing units sold in the first half of the year were priced Baht 2 million and below (USD 64,500 at that time). This implied that most of the units offered were for lower and lower-middle income groups. These units were accounted for 26% of the total value in the market of USD 5.452 billion. However, in the first half of 2018 or five years later, low-priced units were only 25% of the total sales accounted for 10% of the total value of USD 7.462 billion. Whereas, the high price units (including those offered for higher middle income groups and priced over Baht 5 million or USD 161,300) were sold for 19% of the total 56,754 units. However, their value were accounted for 45% of the total value. This meant that today only those middle income, higher middle income and high income groups can afford a house in the markets. The affordability of those lower income groups were shrinking. It should be recognized that some 60% of the public servants or government employees or 1.5 million people are living in the Bangkok Metropolitan Region. That was why they could afford a house in an open market. They had bonus and salary increases with good welfare; whereas, the private sectors were less privileged. In upcountry, housing market situation was even worsening because the largest proportion of population was in the agricultural sector. In the previous government, prices of major agricultural products were guaranteed; whereas, priced were extraordinary low in this current government. Therefore, there appeared to be shrinkage of affordability in provincial cities. Dr.Sopon estimated that the size of the housing markets in uncountry was half of the Bangkok markets. However, it was only 40% in recent years. 1. oust out some proportion of government employees to save some budget and make the bureaucracy to be more efficient. 2. Prices of agricultural products such as rice and rubber should be guaranteed at some certain prices lower than before so that the money could be injected to rural economy to lift up the economy. 3. In addition, drugs must be effective suppressed like in the period of Thaksin government. The government should also suppressed illegal lottos and other gambling and legalize them for more taxes and job creation. Dr.Sopon is a prominent valuer in Thailand who went to value properties in many other countries as well. He was working as a consultants to projects of the World Bank, ADB, UN and the like. 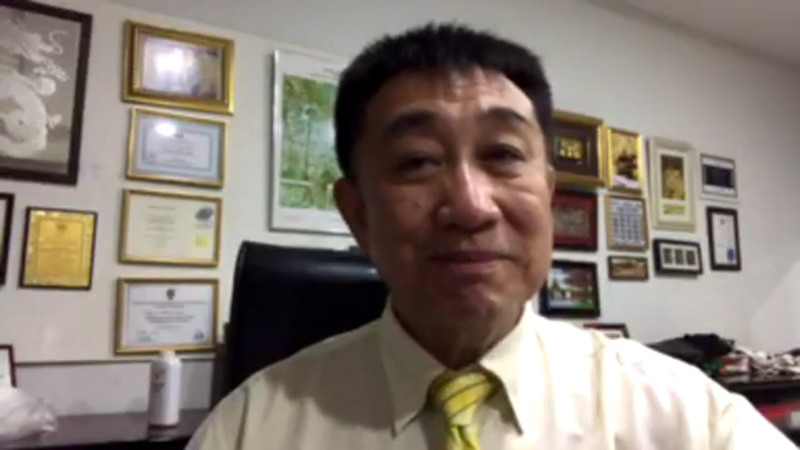 He is currently the President of the International Federation of Real Estate (FIABCI Thailand Chapter).